No room to pack a handbag for a special evening or forgot it? The luxury all-inclusive Casa Velas Boutique Hotel and Ocean Club has the solution. 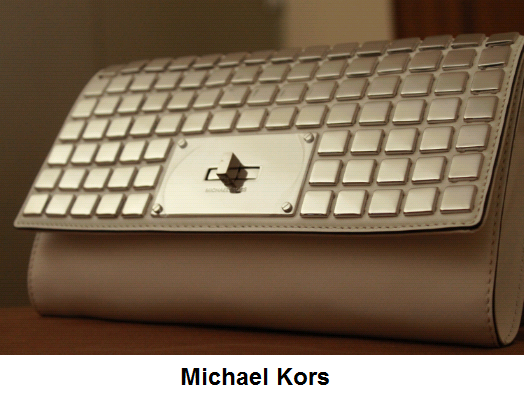 No room to pack a handbag for a special evening? Or forgot it? Never fear. The luxury all-inclusive Casa Velas Boutique Hotel and Ocean Club has the solution: a “handbag bar." 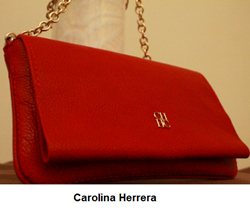 Guests can choose among seven different handbags from designers ranging from Carolina Herrera and Tory Burch to Michael Kors and Pineda Covalin, often called the Hermes of Mexico. They’re available on loan, complimentary for the evening. Guests can reserve their pick once at the resort. “How can we continue to raise the bar on hotel amenities and service, keeping our position as the 8th best hotel in the world according to Expedia® 2013 Insiders’ Select™ List?” said Manuel Oviedo Arce, General Manager. “Our women guests told us this is a service they’d appreciate so we made it happen,” he continued. At Casa Velas luxury accommodations, gourmet meals, premium liquor and wine, 24-hour suite service, use of the fitness center facilities, WIFI, and taxes and gratuities are included in a single price. As part of the all-inclusive rate, guests can also dine at the AAA Five Diamond Grand Velas Riviera Nayarit, home to three AAA four-diamond restaurants. Casa Velas, located on the Marina Vallarta Golf Course in Puerto Vallarta, offers guests a serene and exclusive setting, with the look and feel of a private hacienda. Its 80 suites are decorated in traditional Mexican colors and furnishings, as well as goose-down comforters and L´Occitane amenities. Each suite boasts a private terrace with plunge pool or in-suite Jacuzzi and original artwork by Mexican artist Sergio Bustamante. Emiliano, the hotel’s fine-dining restaurant, serves gourmet Mexican and international cuisine and the latest innovation, street food from all regions of Mexico. Casa Velas Spa offers a robust array of services and treatments, including a hydrotherapy areas for men and women. Casa Velas recently won a Condé Nast Traveler’s 2013 Readers’ Choice Award and was ranked the #1 Hotel on the Beach and #1 Luxury Hotel in Puerto Vallarta in TripAdvisor 2013. For more information or reservations, please call 1-877-418-3011or visit http://www.hotelcasavelas.com. 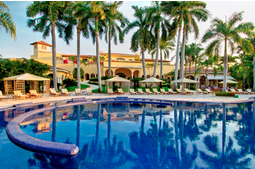 Casa Velas is a boutique hotel and ocean club, reminiscent of a Spanish hacienda, and nestled on the greens of Marina Vallarta’s 18-hole golf course. It features a private ocean club, just minutes from the beach. The resort has received the AAA Four Diamond Award for hospitality seven times. Located just five minutes from Puerto Vallarta Airport and only 15 from the popular downtown area, art galleries and “El Malecon” (the boardwalk), the hotel features 80 spacious suites, some with private pools and Jacuzzis. Spa Casa Velas encompasses treatment rooms for singles and couples, a hydrotherapy area, a garden-view fitness center equipped with state-of-the-art exercise equipment, and a beauty salon. Emiliano a la carte fine dining restaurant is in the hands of one of the area’s leading chefs serving Mexican and international cuisine.